This is a brief presentation of some of the most widely used robots (or remotely controlled, semi-autonomous systems) from militaries around the world. There are numerous other projects that are currently under development and others that are either abandoned or replaced but here only systems that are currently under use are mentioned. If you have any objections or suggestions you are welcome to make a comment. It’s not a coincidence that most of the systems in this post are aerial vehicles. It looks like aerial platforms, whether big or small, are not only easier to automate but they also provide a significant tactical advantage. However this is a rapidly growing sector and the variety of designs and applications is expanding continuously. 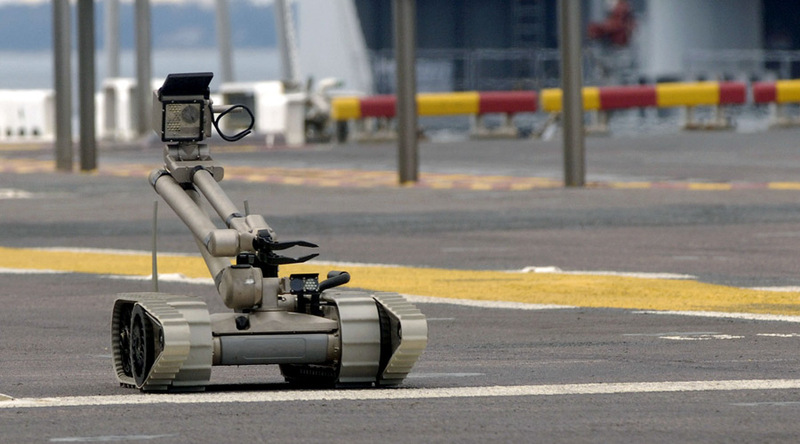 Read below for nine of the most established and sometimes controversial military robotic systems. These are probably the most widely recognizable military robots; their characteristic design frequently appears in pop culture, art and even in protests. Originated by the work of Abe Karem that later developed into DARPA’s project Amber, under the ownership of the Aeronautical division of General Atomics it evolved into a family of UAS. Based on the GNAT drone, the first RQ-1A Predators were initially used for reconnaissance in the Balkan wars during the 90s. The later MQ-1 armed version in 2002 flying over Afghanistan and operated by CIA was the first drone to shoot a missile at a car convoy. 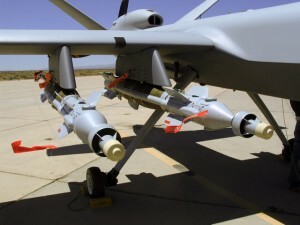 MQ-1 is similar in size to a light passenger plane (it has a 6cyl. reciprocating engine) and is still in use today by many countries while its later -C variant (with a diesel engine) recently entered service with US Army. 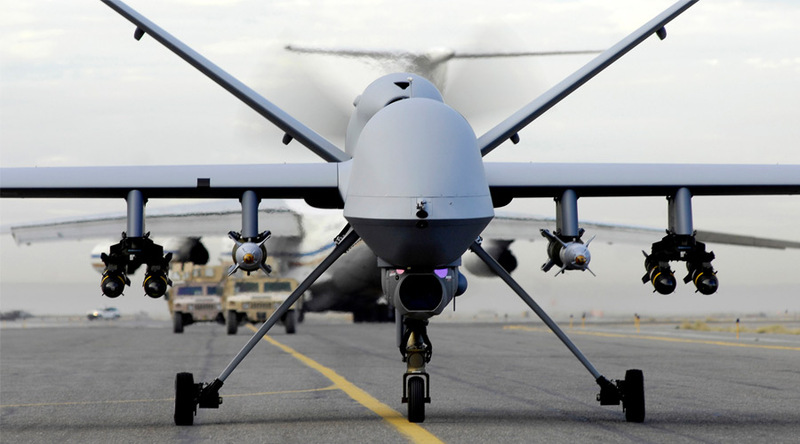 The similar in concept but much bigger MQ-9 (Predator B according to GAASI or Reaper as called by USAF) is the main large drone currently used by the US in almost every place there is military action. It has a turboprop engine and can carry a bigger payload. A completely new model, the turbofan stealthy Predator C is currently under development. In a similar fashion to its predecessors it is funded internally — an unusual model for the defense sector but financially very successful for the company. Another DARPA project, the RQ-4 was designed by Ryan Aeronautical (later absorbed by Northrop Grumman). 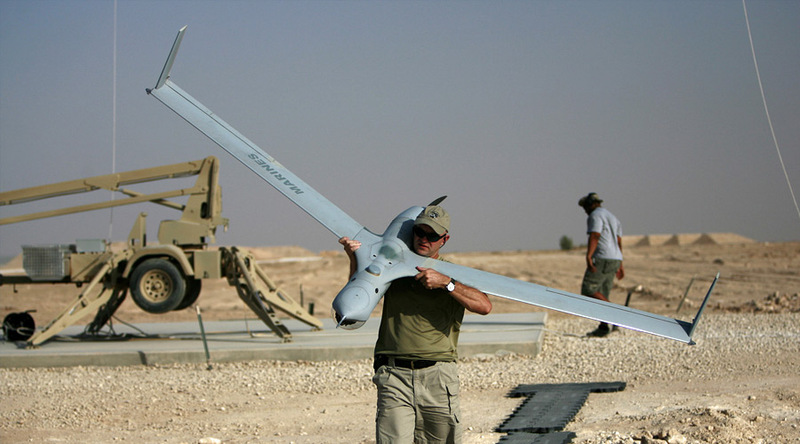 It is one of the larger UAVs and it operates in high altitude / long endurance flight profiles. Although it is probably the most capable system of its kind, it is also one of the most expensive to the point that USAF is on the verge of dropping it in favor of the manned U-2 aircraft that it was supposed to replace. 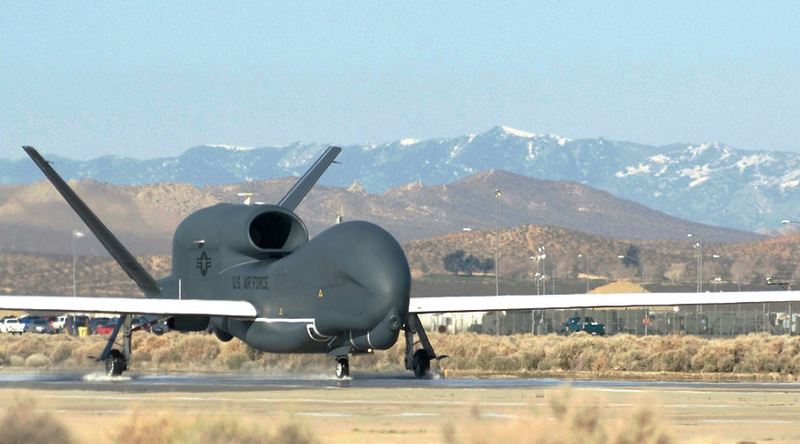 However newer versions with more capabilities are still being developed (and even delivered) while an armed version (MQ-4C Triton) is being developed for the US Navy. Military robots are still in their early days and this is a very characteristic example of a system that was developed for very specific needs. 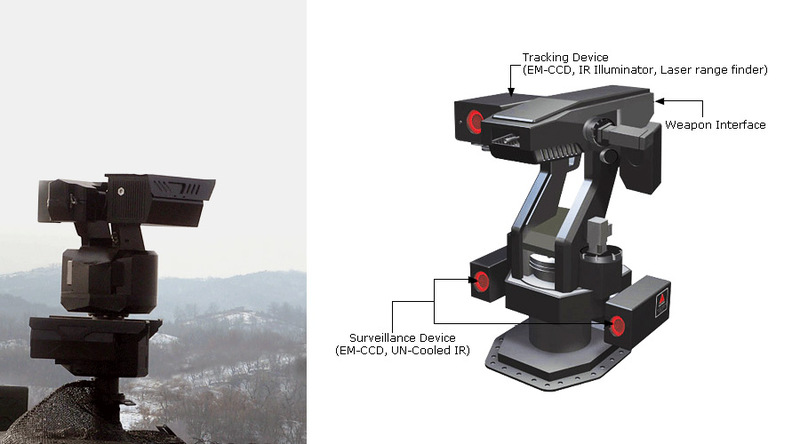 The SGR-A1 is an automated gun turret that is designed to replace an armed guard. It has an electro-optical detection system and a machine gun. It can detect a human, shout warning messages and even exchange passwords orally or understand gestures (like raising hands for surrender). Of course it can also shoot bullets, but usually (though not necessarily) a human is in the loop for that decision. It will be fielded along the borders between North and South Korea. The de-militarized zone here isn’t the biggest in the world lengthwise, but due to local tension it is guarded for its entire length. Fire Scout is one of the first VTOL UAVs. The MQ-8B is an improved and armed version of the initial RQ-8A and both are based on the manned commercial Schweizer helicopters (330 and 333 respectively). 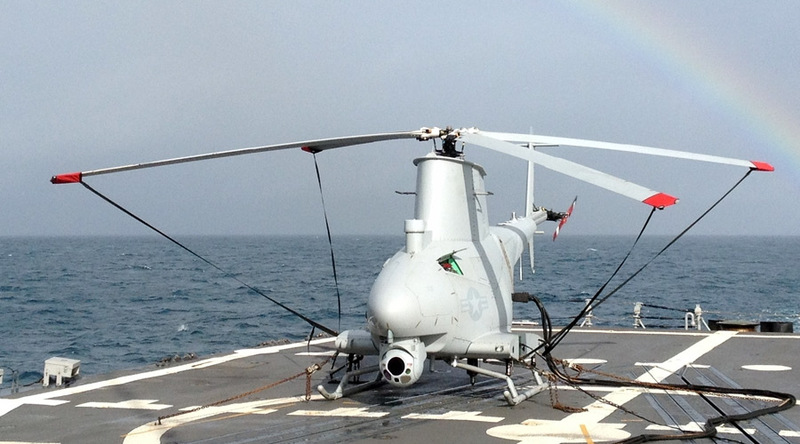 MQ-8 is already in use by the US Navy and it had been deployed to Afghanistan and Libya. The next more capable version, the MQ-8C will be based on the Bell 407, a completely different aircraft, providing a good example of the hierarchy inside an unmanned system where the aerial platform isn’t always (or usually) the primary component. This is probably the first UAV designed to operate in a hostile environment where air-superiority isn’t a given. 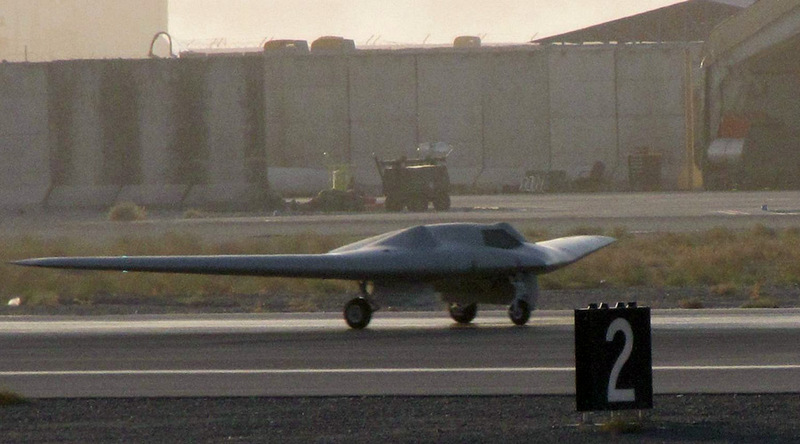 The RQ-170 was revealed from ‘paparazzi’ photos shot in the Kandahar airfield in 2009 that gave it the “beast of Kandahar” nickname. It was officially declared RQ-170 (an out of line number and a non-too accurate RQ- designation, in similar fashion to the F-117 stealth bomber) but most details were revealed when Iran captured one in late 2011. From the images and video released from Iran media, the RQ-170 appeared to be much smaller than initially estimated and not as high-tech. It has a low rcs design but it appears to be simple in construction, for example it has a mesh in the engine inlet (like the first generation stealth aircraft) instead of a serpentine duct. Even so it is probably the only large UAV that can operate undetected and it is rumored that it was used in the operation that lead to the kill of Osama bin Laden. Packbot is a very successful robot made by iRobot. It uses a patented variable geometry track system that enables it to overcome obstacles like climbing stairs while being very stable. There are many versions and it can be equipped with various accessories like manipulators and cameras. 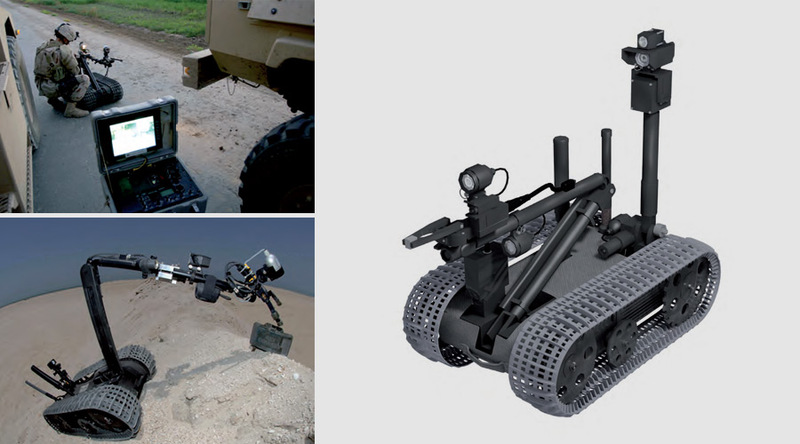 More than 2000 packbots are already in use in several roles such as disposing IEDs, reconnaissance and more. ScanEagle is a military derivative of SeaScan, a small UAV designed by Insitu for the fishing industry. A patented system that uses a catapult with a slingshot for launch, and a wire-hook pole called Skyhook, enable its deployment and recovery from a small ship. This concept is the core of Insitu products and it is very useful for military use as a portable system. Insitu is now owned by Boeing, and although SeaScan wasn’t successful commercially, the Scan Eagle is widely used and it has developed into a family of UAVs that includes the larger ‘integrator’ and others. Talon is a small tracked robot initially developed by Foster-Miller (now part of Qinetiq North America). It is a versatile platform that can carry many sensors and actuators, and it can move through difficult terrain like a small tank. An armed version called SWORDS is equipped with a machine gun, a first for a robot like this, although it is not yet in use. 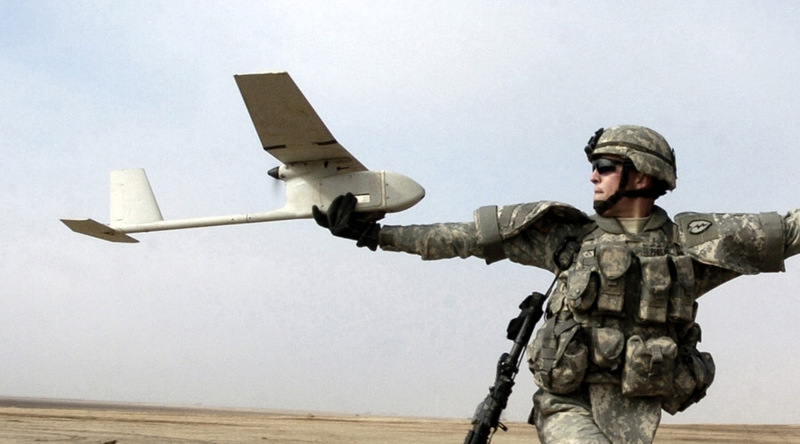 The smallest system in this post, the RQ-11 looks like a small R/C plane. It is hand launched by throwing and it ‘crash’ lands with the wing detaching from the fuselage. It has many capabilities for its size, and can be easily transported. Almost 20 000 have been produced and are in use by many militaries around the world.